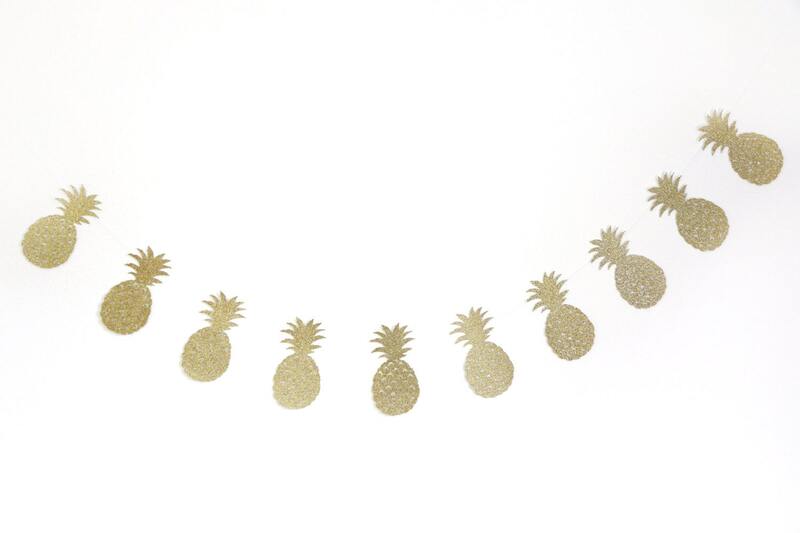 Pineapple Garland - Glitter - Bachelorette Party Decor. Dorm Decor. Wedding. Bridal Shower. Pineapple Party. Hawaiian. Tropical. 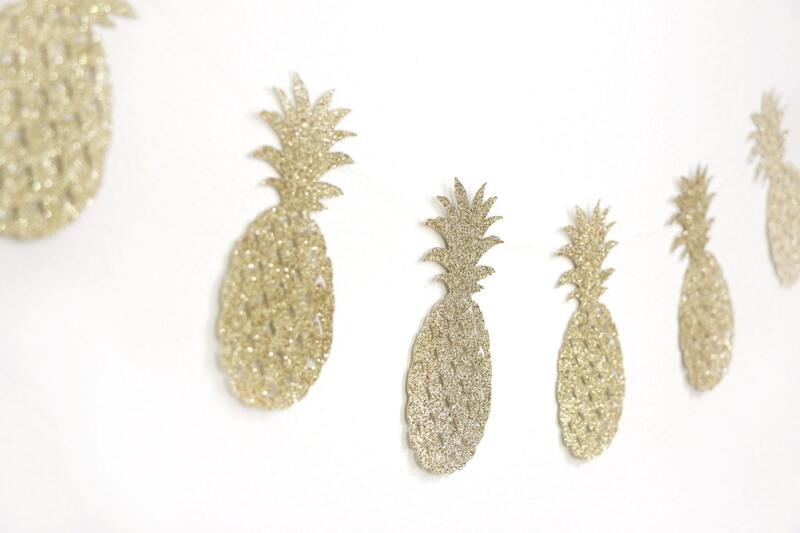 This sparkly glitter pineapple garland will add the perfect touch of glitz to your tropical party decor! • Sewn together with white thread. • Selected size will be the height of the pineapple. 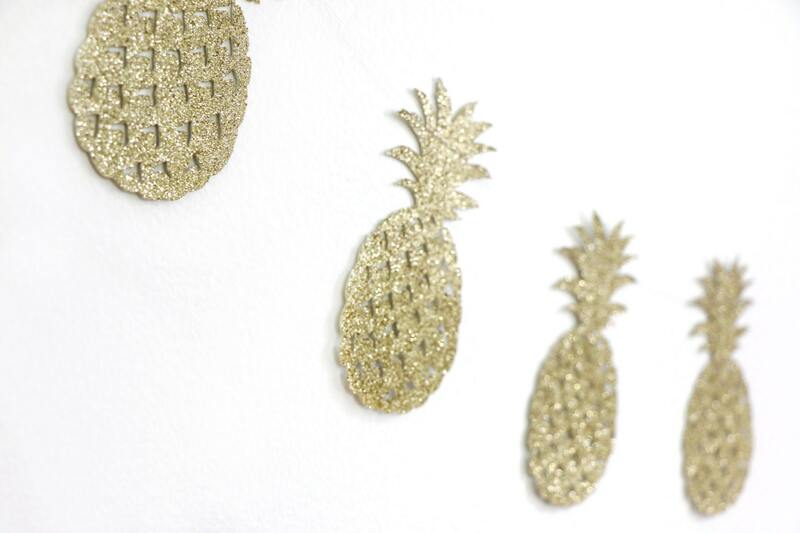 • Each garland contains 10 pineapples. Looks great. 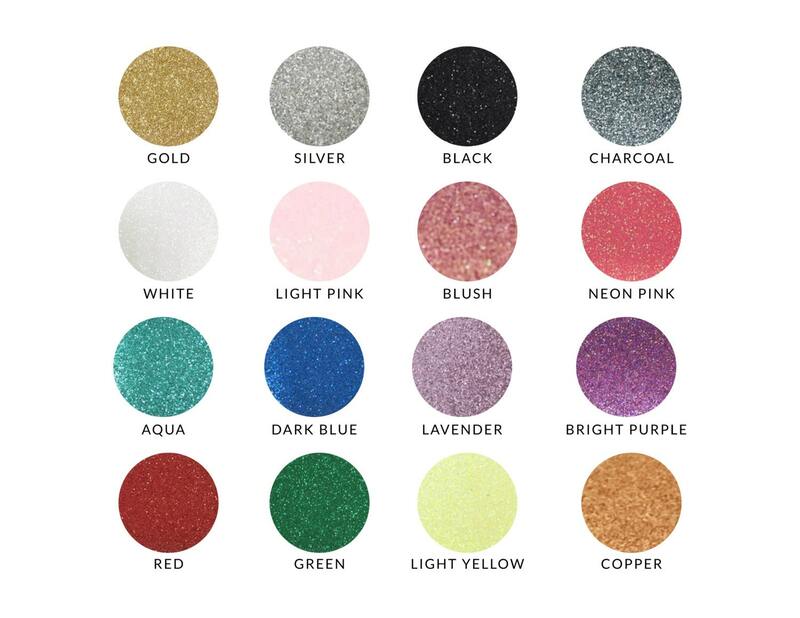 I didn't realize the material is just a thin white Cardstock with the glitter only on one side. I also thought it would be slightly larger. Love the look of the item though and I feel the description is accurate, I just didn't realize it at first.